all the holbrook news that's fit to type, coming right up! it's full-blown christmas time over at our house and we could not be giddier about it. the city's turned cold and festive, the crowds at rockefeller are intense, we've already watched elf twice. and i already feel like it's over, is the weird thing. it's going so fast. emotionally i'm already in january. 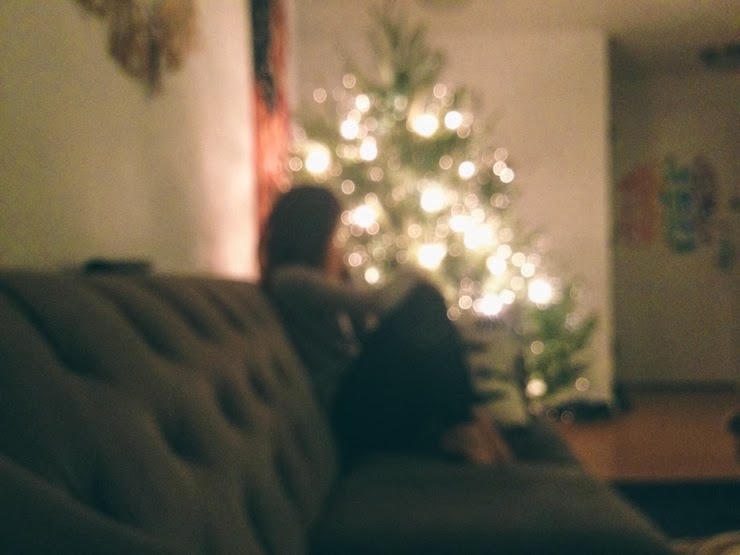 i'm trying really hard to stay in the moment and soak it all up, this time of year is so precious. i've taken the full month off from writing so i can sit and cross stitch homemade ornaments into the night or spend two full hours throwing tinsel on a tree without guilt, and i've been buying up used vinyl of my favorite christmas albums on the street like a loon. the original carpenters christmas album last week, score! it feels like food for the soul, this christmas. so, here's some junk and things, photo essay style. the christmas markets are up! huck and i make it a point to get lunch at the christmas markets at least twice a week while they're up. this year sigmund's pretzels are missing from the line up and look, sig. i've been looking forward to you all year and that is not cool. we enjoyed the heck out of the remaining bits of fall last week. the leaves really hung on this year, and walking through central park has been such a treat. huck and his best buddies spent a warm thursday afternoon playing in this enormous pile of leaves on a play school field trip last week, and i tried really hard not to think about how many park dwellers of various species have peed in there. on a tip from a friend, huck and i walked over to fifth avenue last week to check out the santa at the plaza. it was such a good tip! no lines, and the most gorgeous santa i've ever seen. at first huck wasn't too into it. he had his beanie pulled down over his face and was clinging to me like a sloth on a tree, it was pretty dramatic. but once i explained to him that he could ask santa for anything he wanted for christmas, and that santa would bring it on christmas morning, a look of brilliant mischief crossed his face and he sat up straight, pulled up his hat, squirreled down my leg and marched himself right over to the big guy. he asked for a narwhal. what am i supposed to do with that? i'm off to solve a massive bridesmaid dress dilemma, and i have about six felt ornaments to whip up before we fly to utah, so i gotta run! i'm on a deadline! but i can't wipe this stupid grin off my face. so far this holiday season is making up for the bum of a year 2013 has been for us holbrooks, and i can't thank it enough. we hope you're feeling all the kwanzmaskahsolstice cheer in the world this year too, where ever you happen to be. Oh man, he stole my thunder with the narwhal! That is what I wanted this year! As always, adorable pictures and lovely writing!! 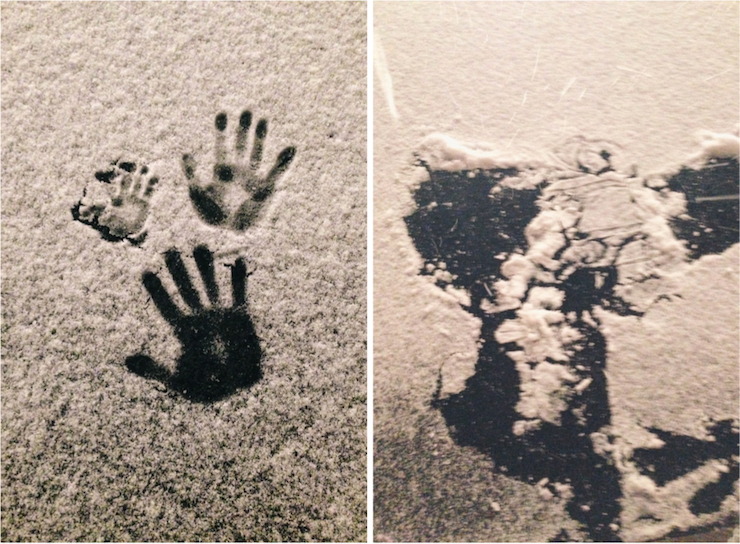 That picture with the hand prints in the snow is great, so sweet. It's christmas time in the city! Beautiful photos. how are you going to fit a narwhal into your apartment? you better get on that. i don't think we can do tinsel this year. we always, always had it when we were kids and we always, always were finding it for months afterward. it makes me bonkers just thinking about it now. but how about some extra lights? Skunkboy Creatures makes narwhal ornaments. They may be sold out by now, but they're darn cute. Just a heads up if you didn't already know. Hooray for holiday fun times!! This post is the cutest, Happy Holidays to you!! Also, https://www.etsy.com/shop/Zooguu has adorable narwhals in various sizes - I've met Jen at a couple craft fairs, and she's awesome! 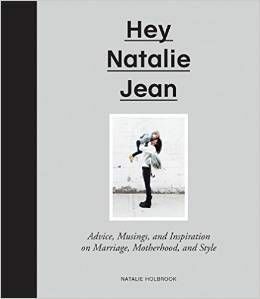 I bought one for my bestie for the holidays this year and it's just perfect! love christmas in the city! oh sister, sister. that beanie/bangs combo is killin' me in the best way. and a narwhal! that kid of yours is a real gem. Oh my goodness! Thank you for sharing all of this because it's now officially made me feel like it's Christmas. It's kinda hard to get in the Christmas spirit when it's not freezing and your surrounded by palm trees. These pictures are just lovely and I love the picture of Huck with Santa! Btw - you look beautiful (as usual)! what a precious family you are. your posts warm my heart! enjoy this holiday season! NYC during the holiday season is the best! have a safe and lovely time with your family.